The Paris and Brussels events will have a prize fund of $150,000 each, while St. Louis and London each offer $300,000 in prizes. The winner of the entire tour will earn an additional $100,000, with the second place finisher getting $50,000. It is not a bad time to be a top chess player in the world! Both tournaments taking place in Paris and Brussels-Leuven will feature rapid and blitz games. Unlike regular time controls, a rapid game is played in 25 minutes with a 10 second increment after each move. Each blitz game lasts five minutes with a two second increment after each move. These time controls produce very fast-paced and exciting chess, which promises to keep both the players and the fans on the edge of their seats until the last second. The Grand Chess Tour field consists of nine players who are committed to playing in at least three of the stops of the tour. At each stop, players accumulate points based on their final ranking for each event. Those who play in all four tournaments can drop their worst result and use their best three toward the overall tour standings to determine who wins the additional $100,000 prize. GM Hikaru Nakamura – USA, 4-time U.S. champion and the No. 2 in the U.S.
GM Wesley So – USA, No. 3 in the U.S. The current world champion and last year’s Grand Chess Tour winner, Magnus Carlsen of Norway, will only participate in the rapid and blitz portions of the tour. Laurent Fressinet from France and Ding Liren from China will be making their tour debut as the wildcards in Paris and St. Louis, respectively. Not only is the Grand Chess Tour a great series of events for the top players but it is a great experience for the fans. Each tournament hosts side events such as blitz and scholastic tournaments, a meet-and-greet and an autograph session with the players and the opportunity to watch the best in the world battle it out live. 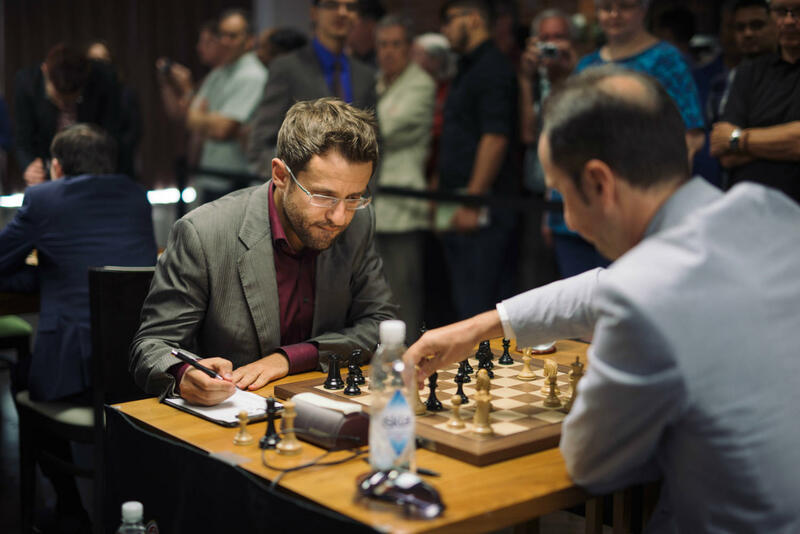 Paris Grand Chess Tour and Your Next Move will be captivating since the faster time controls are more fan-friendly and require a different set of skills that can turn otherwise boring games into emotional roller coasters. 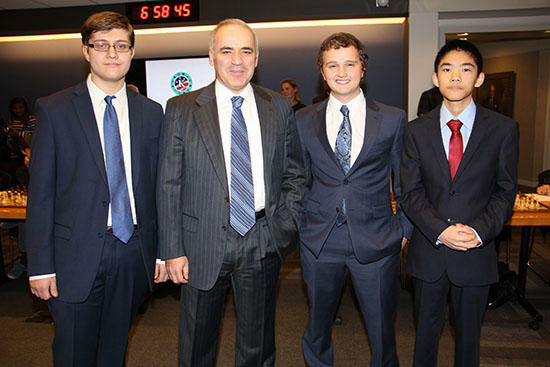 After winning the U.S. Championship this April, Fabiano Caruana joined Hikaru Nakamura, Wesley So and the legendary champion Garry Kasparov in an 18-game round robin blitz tournament titled the Ultimate Blitz Challenge. This event allowed the top three Americans to gain practice for the blitz events. Surprisingly, the newly crowned champion had a subpar showing, scoring only 5.5 points. Wesley So, on the other hand, scored several wins against Kasparov—one of them so impressive that the former world champion compared So to the legendary Paul Morphy and himself to an amateur. Soon the chess world will find out if Caruana has polished his blitz skills, whether the solid Anish Giri will be able to maintain his consistency with his time ticking away faster, or if Magnus Carlsen is also dominant in blitz and rapid. The action begins today at 2 p.m. (7 a.m. CT) at Maison de la Chimie in the heart of Paris. Thanks to Vivendi, Colliers and Dailymotion Games, the Paris Grand Chess Tour can be viewed in Spanish, French and English. Viewers can watch the games online as they will be broadcast live from the Chess Club and Scholastic Center of Saint Louis led by the world-class commentary team of GM Yasser Seirawan, WGM Jennifer Shahade and GM Eric Hansen. GM’s Maurice Ashley and Alejandro Ramirez will make you feel as if you are right there in the city of lights with their on-site reporting and player interviews. Watch it all live on www.grandchesstour.org. Women’s Grandmaster Tatev Abrahamyan is the number 3 rated women’s player in the United States. On Chess: GM? IM? What do the titles mean? How are they earned? 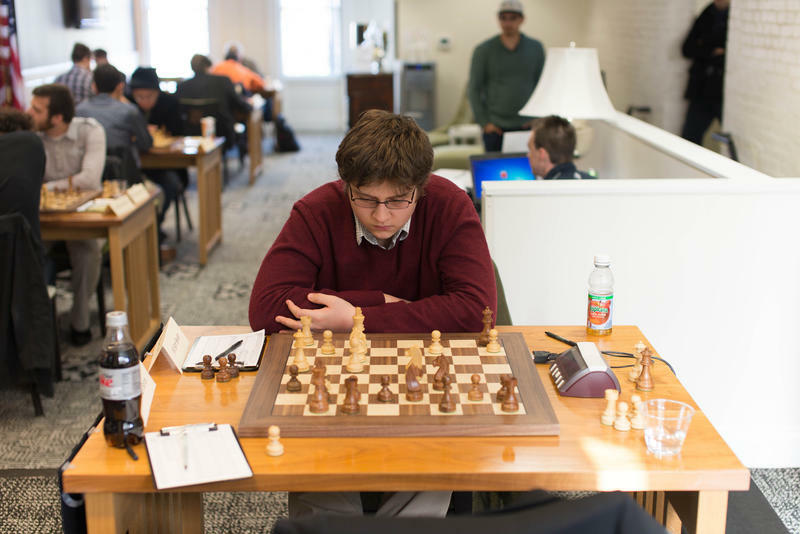 Chess, unlike most other competitive sports, maintains a system of titles granted to players of exceptional skill and talent. The highest title awarded in the world of bishops and knights is International Grandmaster (GM). While it sounds mysterious, the title’s origins are tied to the conception of mastery, like that of an artist or craftsman who has attained the highest level of achievement recognized by one’s peers. Being a genius is pretty helpful in the chess world, but it is far from enough. When Bobby Fischer toppled the Russians in the famous 1972 World Championship match against Boris Spassky, he didn't do it out of magic or in-born talent alone: surely there was plenty of that, but his true strength came from hours upon hours of dedication to studying the 64 squares.